Flowering plants are one of those great gifts that are just as fun to give and they are to receive. They will bring smiles to the recipient and to all who see it for a long time to come. Most of the flowering plants given as Springtime or Easter gifts can be planted outdoors once the weather warms a bit, but you will have to provide special care for these plants to ensure that they are kept happy and healthy until then. There are a few steps you should take to keep your gift plants healthy during their time in the house. If the pot is wrapped in foil, cut the foil off the bottom of the pot to prevent over watering. Set the pot or planter on a shallow, pebble (or marble) filled tray of water to provide humidity. Do not place your plant close to heat sources, or in between a closed curtain and the window. 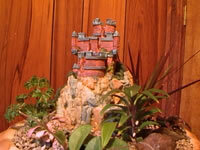 Provide sufficient water according to the needs of the particular type of plant. Mist occasionally and remove dead flowers promptly. 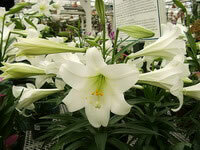 Easter Lilies prefer a bright window, with fairly cool daytime temperatures of 60-65 degrees F. Easter Lilies prefer well-drained soil which is kept moderately moist, but avoid over-watering. In late May or early June you can transplant your lily outdoors. Azaleas like bright but indirect light, cool temperatures and moist soil. 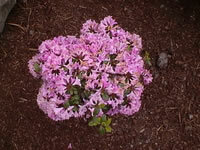 You can plant it in the garden or leave your Azalea in it's planter, place it outside in a shady protected area. In the fall, bring it back indoors and you may get a second flowering. 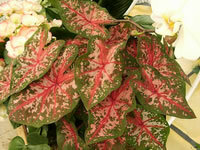 Caladium is a frost tender, perennial tuber which is grown for its colorful foliage rather than flowers. The leaves are usually a combination of different shades of red, pink, green, white. 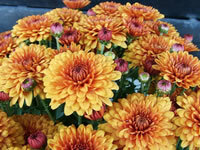 Chrysanthemums are just about the easiest of all of the perennials to grow. They will survive for a long time as a house plant, provided they receive sufficient light and water.They can be planted outdoors any time after all danger of freezing. Cinerarias are tender perennials that are only hardy in USDA zones 9-11,so they are most grown as annual plants, in greenhouses or as short lived, flowering house plants. 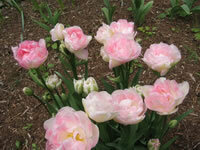 They form 12"-24" tall, mounded clumps of bright green leaves which create a nice accent for the vividly colored flowers. 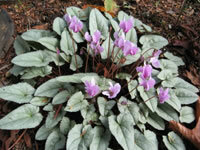 The most important criteria for success with growing a Cyclamen are cool temperatures, fresh air, and ample moisture. They won't last long if the temperature goes above 65° during the day and 50° at night. Cyclamen said should be watered daily to keep the soil moist. Dish gardens should be planted in open, shallow containers. You can use bottles, jars, aquariums, fishbowls, or even brandy snifters for Terrariums. The size is only relevant to the extent of how many (or few) plants it will be able to support. If you are growing your Gardenia as a potted plant indoors, keep it out of direct, hot sun, and allow it to only get bright light. 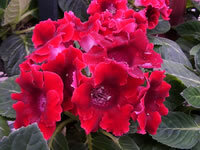 Gloxinias come in a wide range of colors, with variations in both foliage and flower forms. They are tuberous plants which are usually grown as houseplants, but may also be grown in containers in a shaded part of the garden. 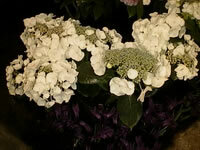 Hydrangeas can be transplanted outside in a sunny, protected location. Unless the pH of your garden's soil is close to pH of the soil in the planter, you can expect the flower color to be different next year! Lily of the Valley (Convallaria majalis) bulbs will bloom in just 3-4 weeks if potted up at 65°. 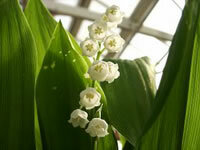 Outdoors, the Lily of the Valley's sweetly scented flowers bloom in early spring. 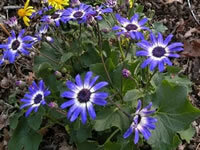 They like partial to full shade and is perfect for your shade garden. 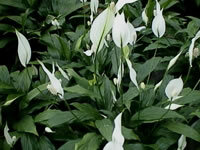 Peace lilies prefer bright filtered light, but will survive in low interior light. Peace lilies do best in a warm environment (68°-85° daytime temperature) with a 10° nighttime drop. When watering, it is very important to use room temperature water! 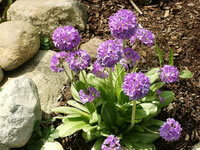 Primroses provide you with early spring blooms in almost every color of the rainbow. Primroses may be grown indoors if you are able to provide them with cool night temperatures of 50°-60° F., high humidity, filtered sun and moist soil. With proper care, Reiger Begonias will remain in bloom for several months. 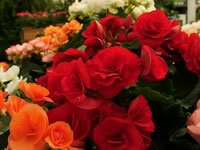 Rieger Begonias need bright, filtered light, with maximum light in winter. An east window is usually ideal. Many Spring flowering bulbs may be potted up to give you an early bloom indoors, however the flowers may also bring with them a bad case of Spring Fever. Once the bulbs have finished flowering, remove the spent flowers and stems but continue to water and provide light for the foliage.